"This is one of the greatest dishes of all times....People went crazy for it," claims Chef Jeremy Fox of the former Ubuntu Restaurant in Napa. 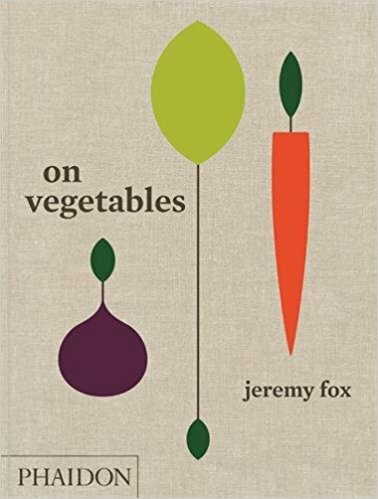 David Chang writes, "Fox...makes the best tasting vegetables on the planet." So, of course, I had to give this recipe a try. For anyone who was lucky enough to eat at Ubuntu before it closed, you'll appreciate the complexity and unique combination of flavors in this salad. For others, it might be a bit of a mystery as to why it was so complicated and took so long to make. There's no doubt the salad will be a conversation piece. Just allow several hours to make it, or bring in a sous chef to help. 1. Wrap the ingredients in a large piece of cheesecloth, gather the corners together and tie with twine. 2. Lower the sachet into 1 quart of water in a pot set over low heat. Keep the bubble very low just to steep the ingredients. 3. After 2 hours, life the sachet from the stock and allow the stock to drain out into the pan. Discard the sachet. 4. When the stock has cooled, transfer the stock to an airtight container with a lid. Refrigerate for up to 2 days, or freeze the extra for up to 2 months. 1. To cook the peas: Bring a pot of water to boil over medium-high heat. Add salt to make a salty brine. Prepare an ice bath in a large bowl. Add the shucked peas to the boiling water and blanch until they become tender, about 1-2 minutes. Drain immediately and put in ice bath. When completely cook, place them on towels to dry off. 2. Gently squeeze the prepared peas to divide in half, discard the skins, and place in bowl. Season the peas with the olive oil, lemon juice and salt to taste. 3. 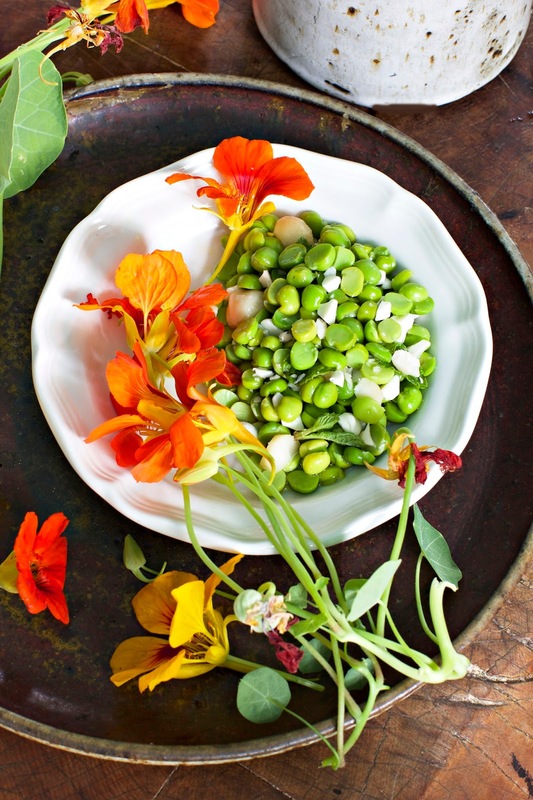 In a separate bowl, combine the pea shell stock with the vinegar and season with salt to taste. 4. To compose the salad in 6 individual bowls: Divide the peas evenly, and sprinkle with the chopped chocolate and toasted nuts. Garnish with mint leaves and flowers. When ready to serve, pour the seasoned Pea Shell Stock over the peas, and dot the surface with olive oil dots from a squeeze bottle. Recipe adapted from the KCRW website here. I try out these recipes so you don’t have to (and modify them for Paleo where possible). The rating will reflect my opinion of the final result in therms of taste, ease of preparation, nutrition, and sometimes, cost.